The Chinese started immigrating to the US during the Gold Rush around 1850. The vast majority of them were from a small city in China formally known as Canton. This is why the Chinese food in the US are derivatives of the Cantonese cuisine. So, here in America, we have a very skewed idea of what “Chinese” food is. Compounding this problem is also the fact that these immigrants were not professional chefs or cooks; they were ordinary, lower-class Chinese people trying to replicate what they used to eat back home. This is where Cecilia Chiang comes in. She is the subject of this new documentary, Soul of a Banquet, by Wayne Wang who directed one of my favorite films of all time, Smoke. She came from a wealthy Chinese family who was immersed in the haute cuisine of China. Dismayed by the state of Chinese food in the US, she tirelessly worked to educate the American public of the true depth and breadth of Chinese cuisine. The first half of the film is about Chiang’s life, how she ended up in the US and accidentally became a restauranteur. The story of her visit back to China to see her family is tragic and moving. She started telling the story in English but switched to Chinese. Although I do not speak Chinese, the nonverbal communication was clearly enhanced by the switch. The film also explains how Communism caused cultural amnesia in China, and Chiang’s role in preserving the memories. Because Communism went on for so long that certain cultural traditions and knowledge were lost; it was as if people stopped talking for a whole generation. Those who fled the country (many chefs to Taiwan) played a key role in preserving their traditions. The second half beautifully documents the banquet that Chiang hosted at her home for her close friends. The dishes she served were so unusual that they didn’t seem Chinese to me. It becomes clear in the film that, for Chiang, food is a form of performing art; the food itself is only part of the whole experience she designs. If you are a foodie, this film is a must-see. 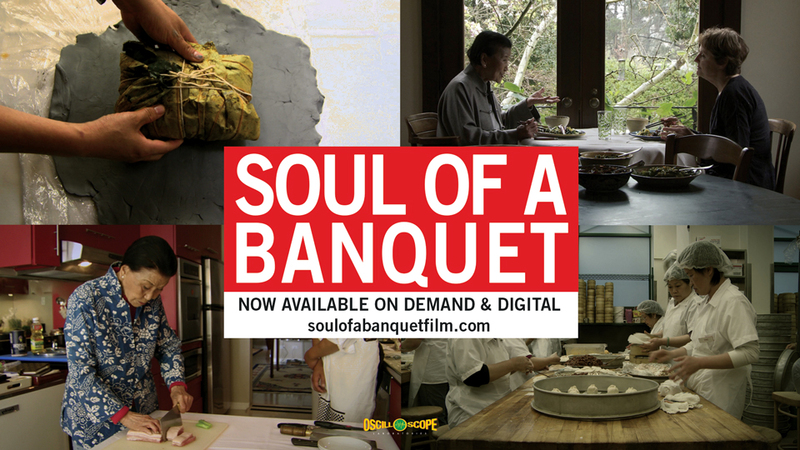 It tells an important story of one of the most influential cuisines of the world. The dishes didnt seem chinese to you because the chinese food you have in America isnt anywhere close to being authentic.